Not in the literal sense, but they sure don’t like negative attention! Hiding from the problem only fuels my many thousands of visitors a month, Kia. It’s been a couple of years. How many millions of dollars in lost revenue are you willing to eat, to try to win? You may lawyer up, but it’ll cost you. My attorney is still taking every case of yours to court, and costing you much more than a buyback would have. Heck, a simple warranty repair. Sitting in a K900, at the North American International Auto Show(Press day, press pass, thanks blogging!). 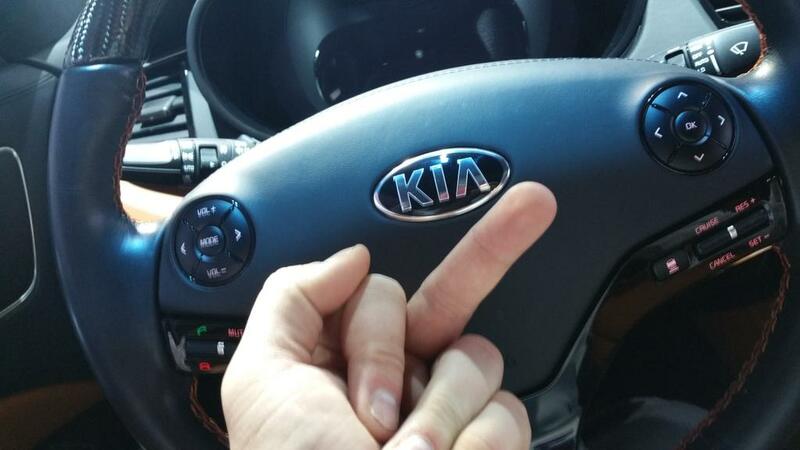 I noticed Kia didn’t even have a single Sportage there! Could it be that it was one of the worst quality cars on the market? I do believe so. 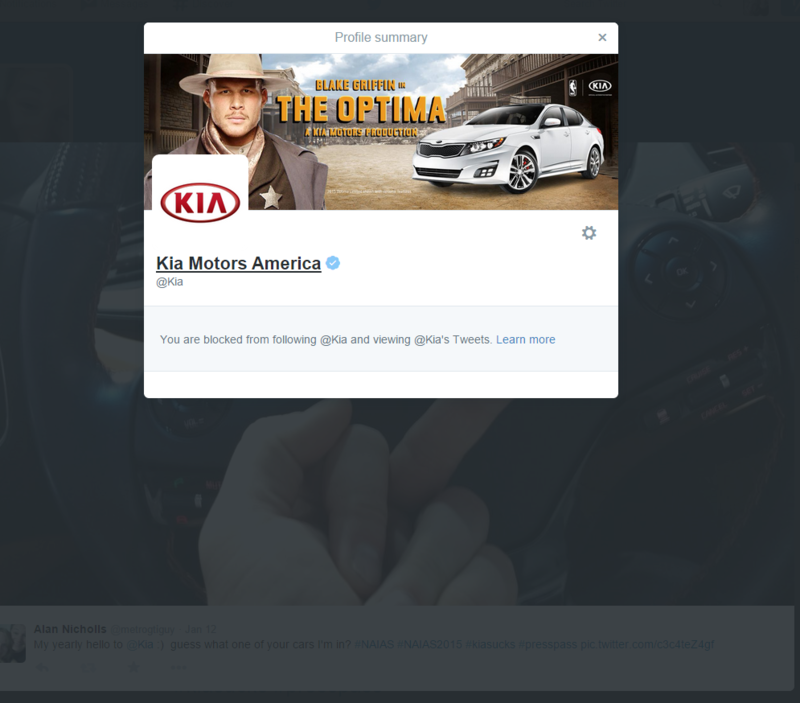 Kia sure didn’t appreciate that tweeted to them earlier..
Just hide your head in the sand Kia. 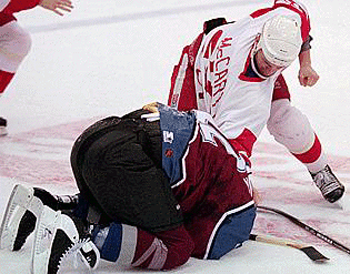 Or just pull a Claude Lemieux! You can bloody someone’s face Kia, but open media will always win! And Detroit knows your dirty game.